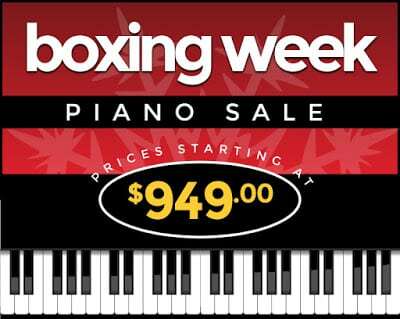 VANCOUVER, BC – Starting on Monday the 26th of December, all 3 locations of Showcase Pianos will be offering larger than usual discounts on ALL their pianos, and extra special savings on selected items. Showcase Pianos is the official representative in BC for Fazioli, C. Bechstein, Grotrian, W.Hoffmann, Seiler, Knabe, as well as Wilm.Steinberg. There are some select pre-owned pianos that are also excellent purchases, such as various full size upright pianos by Yamaha, Steinway, and Bechstein.